It's easy to blow your budget quickly in this space if you don't know what you're doing. Numero Uno's SEM experts will not only set up your SEM campaign, but will also manage it to help you get the most bang for your buck. If your website is making it to the first page of search engine results, this may be due to your effective search engine marketing (SEM) strategy, which is the foundation of most companies’ online marketing strategies. 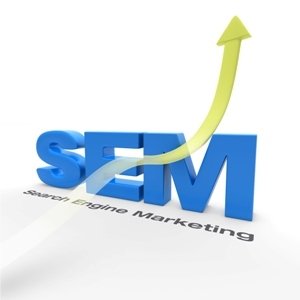 SEM is an internet marketing technique that involves promoting websites by increasing their visibility in search engines by means of optimization and advertising. It encourages getting the most out of search engine optimization (SEO), pay per click advertising, reputation management and social media marketing to improve business on a large scale. During the course of this process, many businesses may fail due to the lack of time,the right resources, and/or making the mistake of trying to work on these techniques simultaneously. These are the main reasons why businesses opt for a company’s SEM services. Numero Uno Web Solutions, located in Toronto, Canada, is one such company that can do a lot of good for your business through its search engine marketing services. The first aspect of our services, we analyze your website, keywords, business needs and competition and then set an effective strategy to make sure you have a successful campaign. Our SEO services rely on this in-depth analysis and brainstorming with clients to get a clear idea about their business goals and objectives. We offer a variety of options that cover SEO consulting, local SEO and fully integrated SEO packages. Our PPC management services entail using the latest technology to enhance the effectiveness of the working team in your business promotion. While many companies depend largely on a platform to go about making decisions for PPC campaigns, we at Numero Uno Web Solutions make use of technology, along with the vision and knowledge of our experts, to work towards improving the results. Our process includes keyword research and analysis, Google AdWords management, maintaining advertising campaigns (creation, development and optimization), landing pages, ad testing and A/B testing. Over the long run, you need to manage and grow your company’s reputation online to build trust and reliability. The way you present your website is what creates an impression on the minds of visitors. We provide reputation management services in which we build up your online assets and integrate the use of every possible technique to enhance your reputation. Often not given much weight, your website is the foremost thing through which you represent your business to the entire world online. Keeping in mind the way it can fasten your business growth, we provide web design services where we cover everything, including updating your website’s appearance, providing better functionality, improving conversions, and more. No matter how perfect your online marketing strategy is, it’s meaningless if you cannot back it with quality content. This is why we at Numero Uno Web Solutions provide a range of content development and syndication services that include optimizing website content, article submission, blog posting and commenting and press release submission and distribution. All these aspects together will help improve your reach and visibility. These services form our integrated SEM strategies. 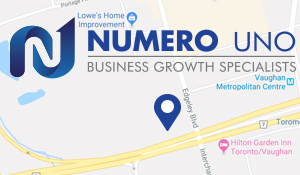 Being a search engine marketing company in Toronto, we at Numero Uno Web Solutions believe in growing at every stage by helping our clients improve their business online. Whether you need assistance in improving SEO, PPC or any other technique, we can provide you with effective solutions that suit your resources and goals. Contact Us today and start growing your audience quickly by using our search engine marketing services!